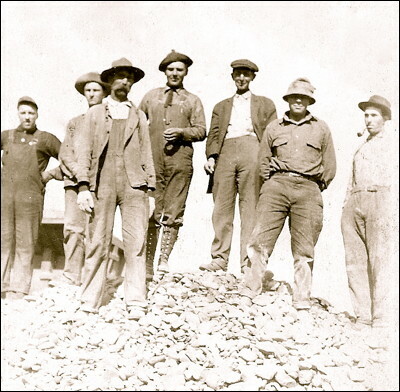 This is the crew that built Pacific Highway through southern Oregon in 1914. This photo was taken in Phoenix in 1914. My grandfather Roscoe Doty is second from the right.